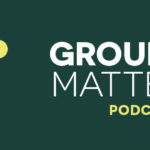 SUMMARY: In this episode, Brian and Rick speak with Steve Gladen and Jay Kranda, pastors at Saddleback Church, one of the most influential churches in the country, about the often controversial practice of online small groups. 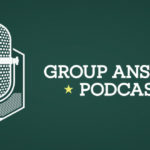 Steve and Jay discuss how increasing globalization has led to the opportunity to contact and engage with thousands of people through an online platform. Jay shares how establishing contact with individuals who perhaps feel more comfortable meeting Jesus and the gospel online can lead them to eventually begin meeting regularly with a physical small group in their area and how clusters of these small groups in localized places can even eventually lead to a new church plant. Steve and Jay also offer some practical advice and inexpensive resources for groups pastors who are considering trying out online small groups in their church. 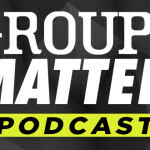 GUEST: Steve Gladen has been Global Pastor of Small Groups at Saddleback Church since 1998. He is the founder of the Small Group Network and oversees the strategic launch and development of over 7,000 adult small groups on multiple campuses. He has authored Small Groups With Purpose and Leading Small Groups With Purpose. He frequently speaks at conferences and consults with church leaders both in the United States and around the world. He has a driving passion to see each church attendee connected to a qualified shepherd and become an integral part of their church body, living purposefully for Christ. He earned a Masters of Divinity from Fuller Theological Seminary in 1985, and a B.A. in Biblical Studies, with minors in Greek and Philosophy in 1982, from Evangel University. Steve and Lisa have been married since 1989 and have two children, Erika and Ethan. Follow Steve on Twitter @SteveGladen. Jay Kranda is the Online Campus Pastor at Saddleback Church. He blogs regularly about online church at jaykranda.com and co-hosts the Social Media Podcast.